We come in peace, that's why we're here. Isn't that the whole idea of Starfleet? How do you boldly go where many have gone before? After six television series, thirteen feature films, and countless other pieces of media, Star Trek’s fabled final frontier is now well-trodden ground. 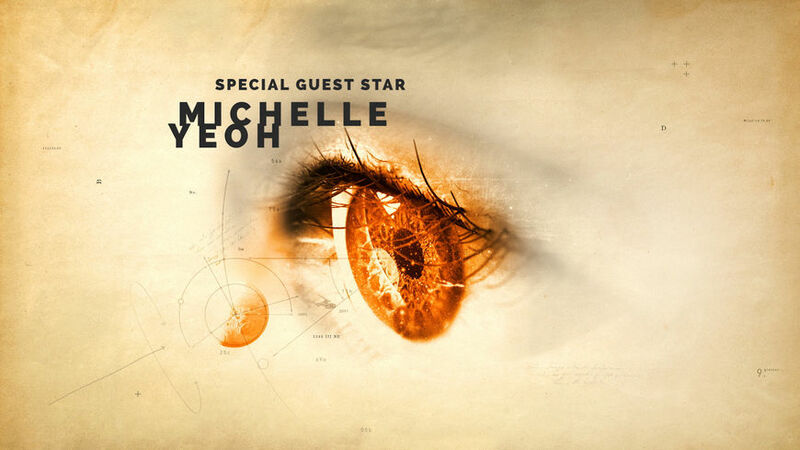 For Star Trek: Discovery, the seventh TV series in the long-running Trek franchise and the first to take to the airwaves – or rather streaming services – since the conclusion of the last television series in 2005, that was the question. 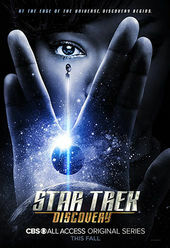 Set roughly 10 years prior to the events of the original 1960s Star Trek series, Discovery follows Starfleet science officer Michael Burnham (Sonequa Martin-Green) during the events of the Federation-Klingon War of 2256, a devastating conflict that she inadvertently helped to provoke. 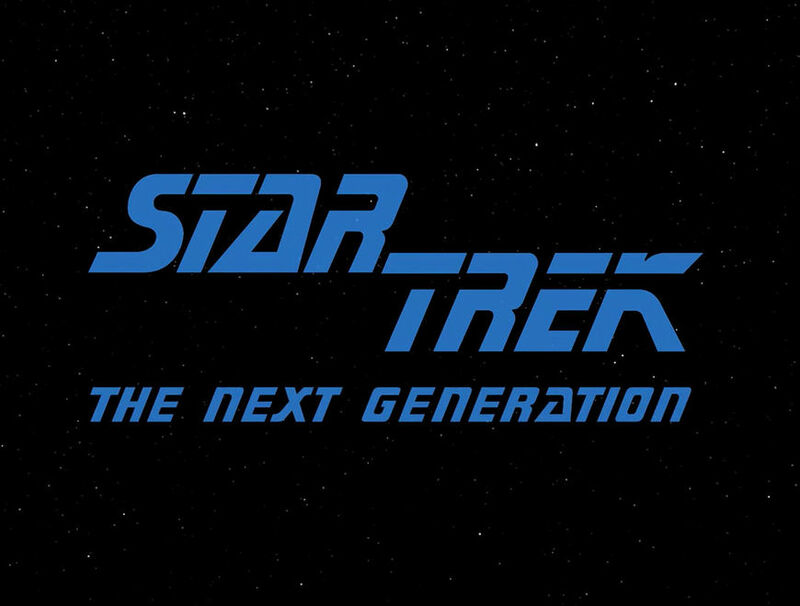 For those keeping track, this new prequel series is set in the so-called Prime timeline that all previous Trek TV shows have occupied to date and not the alternate timeline established by J.J. Abrams’ 2009 film Star Trek and its sequels. 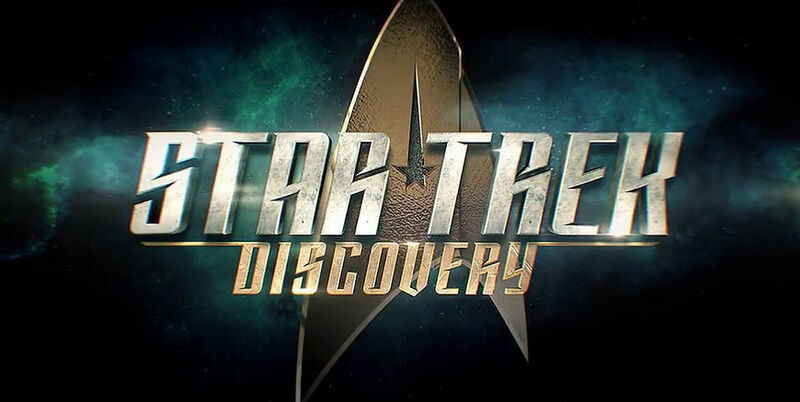 Although Discovery occupies a setting that will be familiar to longtime fans of the franchise, the new series shares the sleek aesthetic and kineticism of the Abrams films, the primary difference being fewer lens flares. 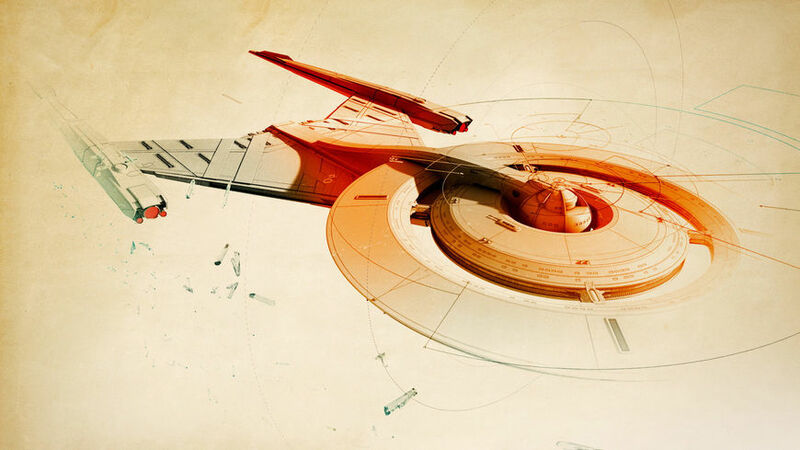 It’s a hybrid Star Trek series – a fascinating mix of new and old – and a new type of Trek necessitated a new kind of introduction. 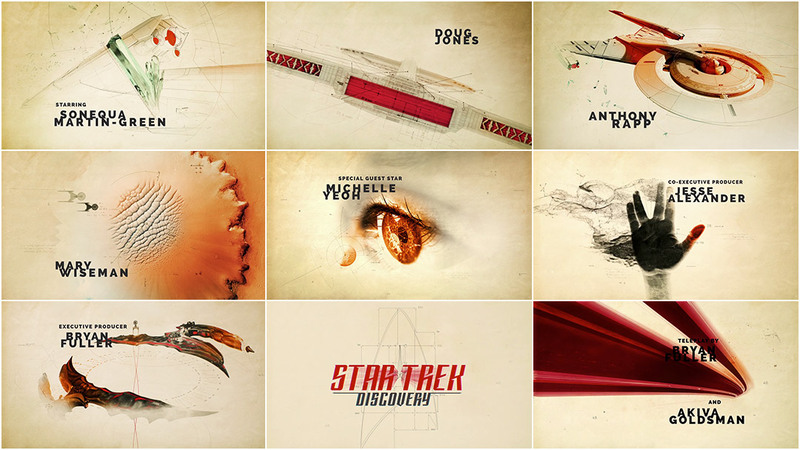 Star Trek: Discovery’s title sequence fits the bill. It acts as both an annotated history of the future, or at least the future depicted by Trek, and a window into the life experience of the troubled but talented Starfleet officer who serves as the show’s protagonist. The task of capturing the spirit of Trek for Discovery’s opening fell to venerable design studio Prologue. They faced the same conundrum the series’ showrunners did: how do you add something new and exciting to a 50-year-old franchise while still honouring what came before? The main title that Prologue ultimately produced for this latest iteration of the popular sci-fi franchise is a brilliant piece of design, one that answers that question by presenting the story of the discoveries that would ultimately lead humanity to the stars. 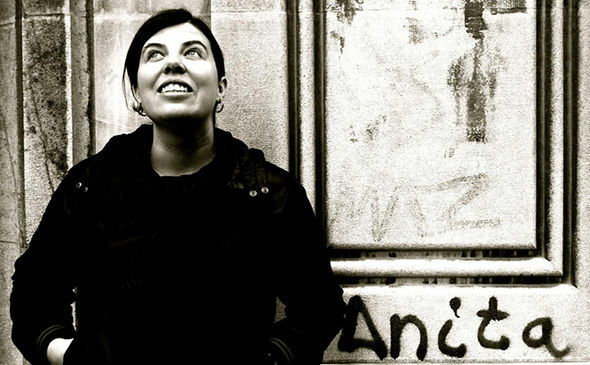 The first step for the team at Prologue on their journey to create Discovery’s main titles was to reexamine the core ideas that formed the foundation of Star Trek – and, in the case of Spanish-born Creative Director and Designer Ana Criado, step one was to get better acquainted with the series. Any new viewer could turn on any episode of Star Trek and immediately have all of the themes established for them during that one simple sequence. “Space: the final frontier...” Whether spoken by William Shatner’s Captain Kirk or later Patrick Stewart’s Captain Picard those iconic words have transcended the Star Trek franchise and title sequences, becoming so ingrained in Western pop culture that they’re arguably more famous than the shows themselves – and, for that matter, similar phrases uttered by real-life space explorers. 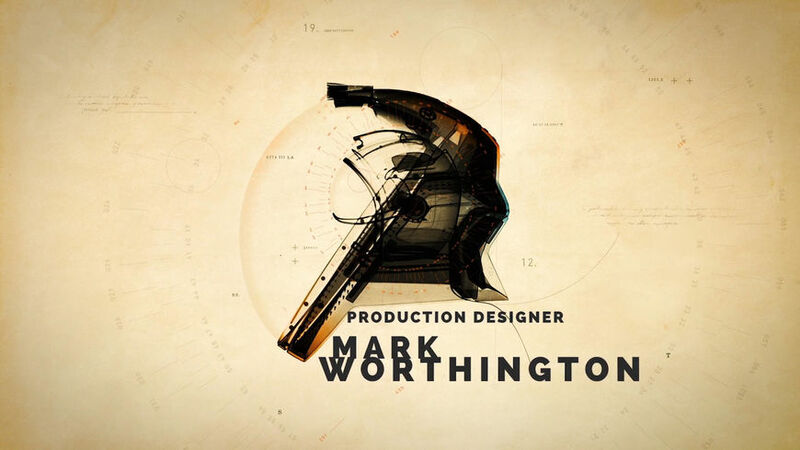 Although Discovery’s title sequence did not end up becoming the homage to the vaunted transporter device that Mattila described, the technology-focused concept struck a chord with the team. 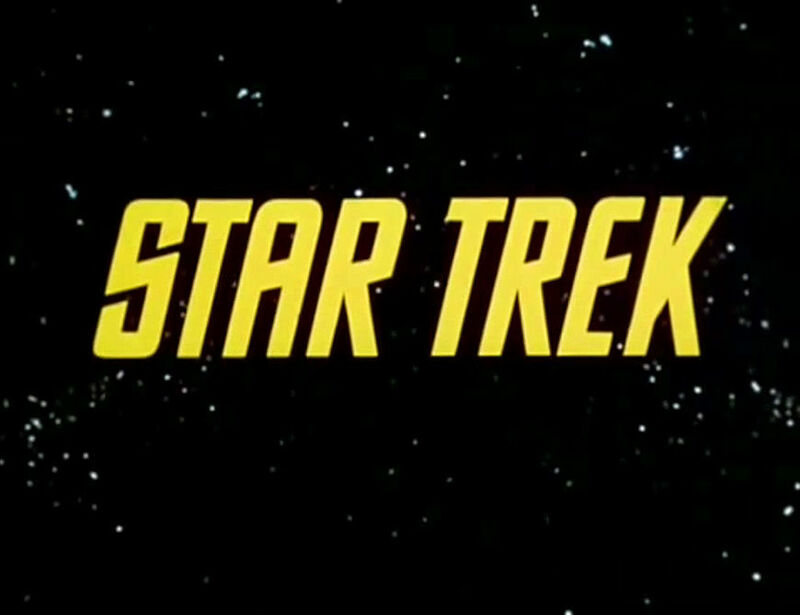 The primary challenge early on, according to Cooper, was finding a way to capture the “mystery and hopefulness” inherent in Trek while acknowledging the history of the franchise in some way. Trek tech turned out to be the answer. When faced with the challenge of adding something new to a constantly evolving, decade-spanning media franchise like Star Trek – a work of fiction with legions of fans who have very specific ideas about what does and does not qualify as Trek – a pair of fresh eyes is an invaluable asset. For the Discovery main titles, Criado was that perspective and much more. 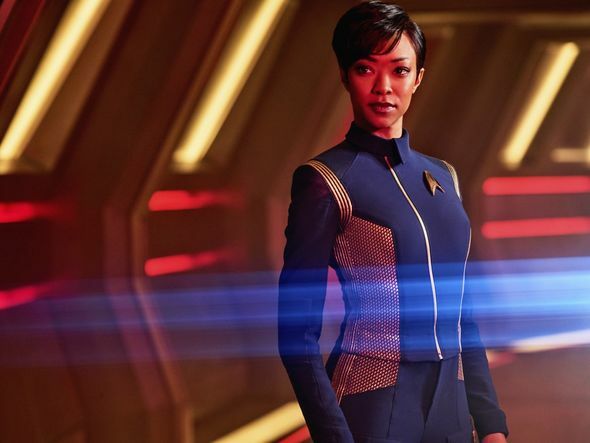 Her status as a non-Trekkie combined with a design sensibility almost completely at odds with everything one might consider traditionally Star Trek helped the team and Discovery’s showrunners reassess the tropes central to the franchise. It was as if the graphics themselves tipped their hat to the show’s history. 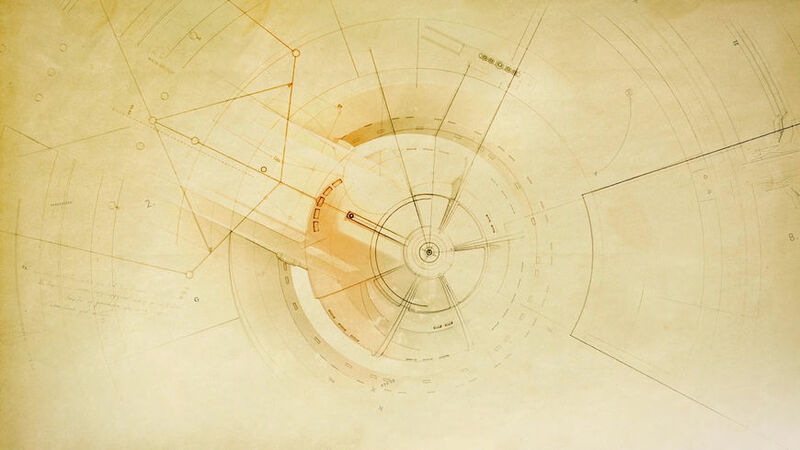 Examples of the “Blueprint” concept in the Star Trek: Discovery main titles. 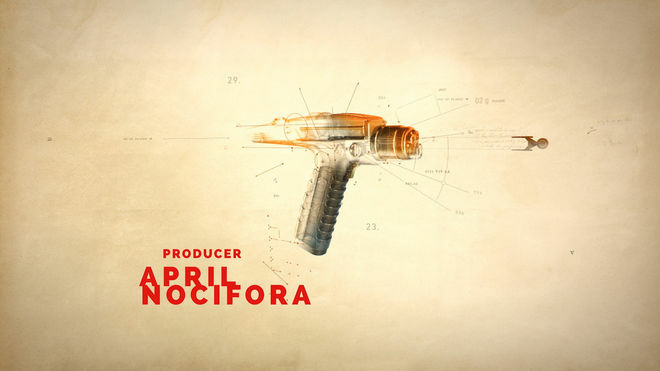 The iconic phaser weapon as it appears in the Star Trek: Discovery main titles. Dilithium crystals in the Star Trek: Discovery main titles. 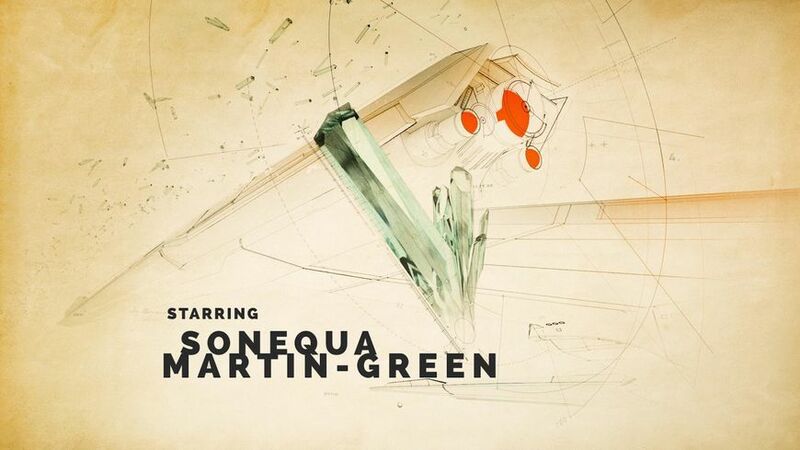 Over the next few months, from the beginning of pre-production in March 2017 through to early June, Discovery’s title sequence slowly but surely started to take shape. A shower of dilithium would represent the warp drive, humanity’s first contact with an alien species would be represented by the well-known Vulcan salute, the discovery of the Klingons would be symbolized by the bat'leth sword, and so on. The team also highlighted the creation of various pieces of key Star Trek technology, such as the communicator, the phaser, and the transporter, often using the devices and their functions as transitional elements between the vignettes. 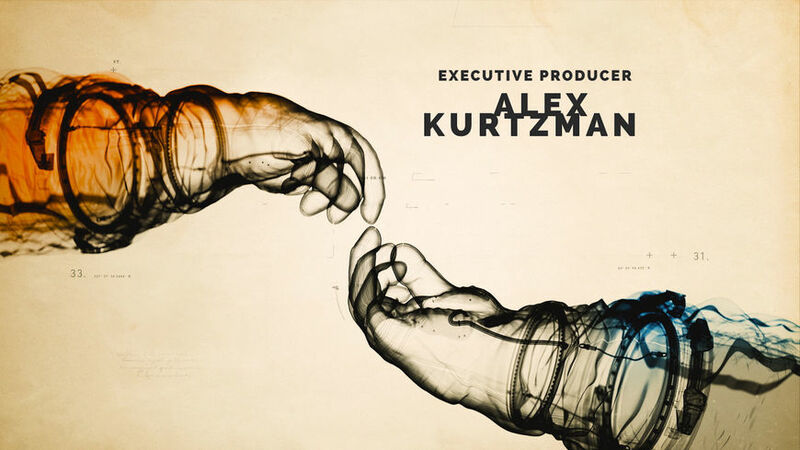 As the broad strokes of Discovery’s main titles came together, the team was simultaneously trying to figure out the context that the sequence would be presented in. “One of our main discussions was establishing a point of view – whose perspective was this opening going to be from?” said Cooper. 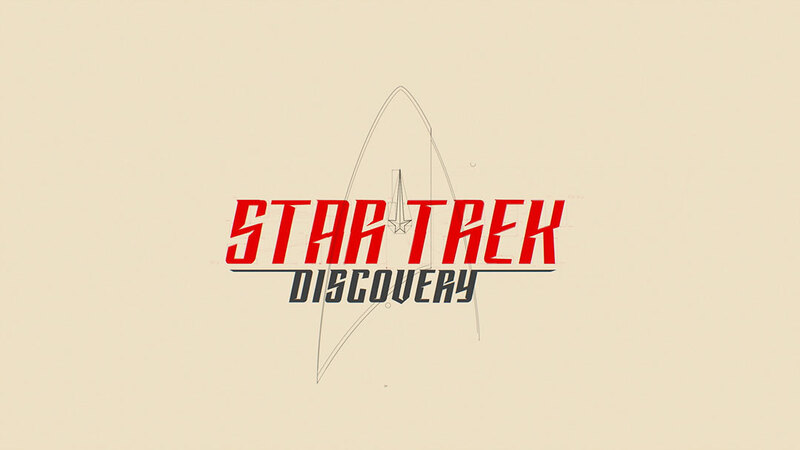 “Unlike past series, Discovery is really rooted in one specific character and her journey instead of an ensemble, which called for a different approach to the title sequence.” The team soon realized that a traditional introductory mission statement accompanied by a series of vignettes wouldn’t work here because at its core Discovery wasn’t a traditional Star Trek series. The suggestion that what was being seen on screen were more than just blueprints, that the viewer was looking at essentially study notes with scribbles in the margins, allowed the team to further expand the notion of a renaissance, specifically, the Renaissance. 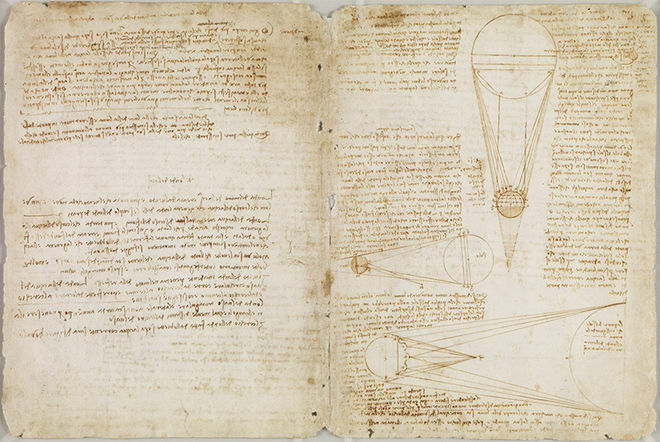 Pages from the Codex Leicester, one of Leonardo da Vinci's notebooks. The combination of handwriting, diagrams, and colours referenced the sketches of artist and inventor Leonardo da Vinci, while the shot of the two spacesuits reaching out to one another, much like Michelangelo’s “The Creation of Adam” fresco, hammered the point home. Stills from the Star Trek: Discovery main titles. 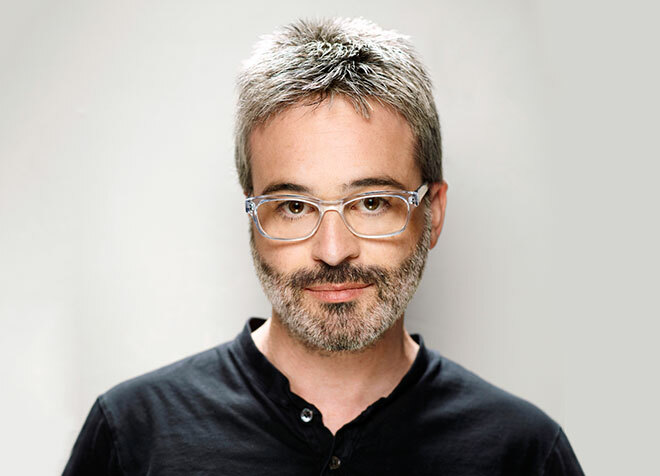 When it came to Discovery’s music, the team, especially Mattila, hoped the showrunners would take a cue from the previous Star Trek series, Enterprise, and choose the piece of music very carefully. 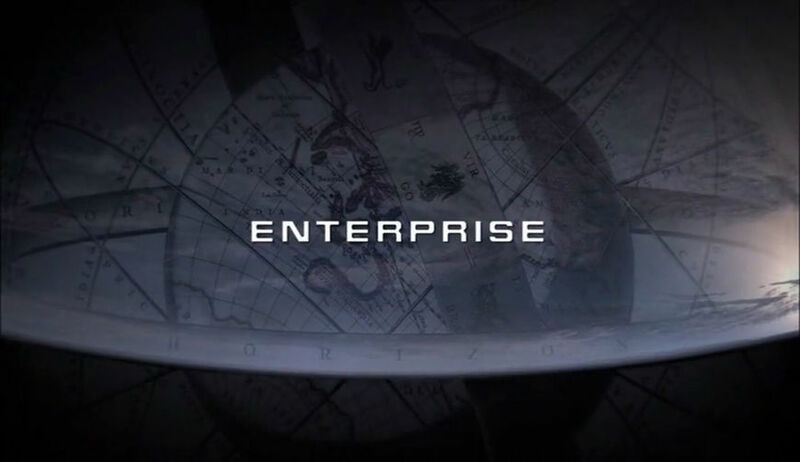 To this day, the Enterprise title track “Where My Heart Will Take Me” – a cover of Rod Stewart’s 1998 Adult Contemporary chart topper “Faith of the Heart” – remains deeply unpopular with many Trek fans and even sparked protests and petitions shortly after the show premiered in 2001. We knew this piece was going to live or die if the wrong music was there. 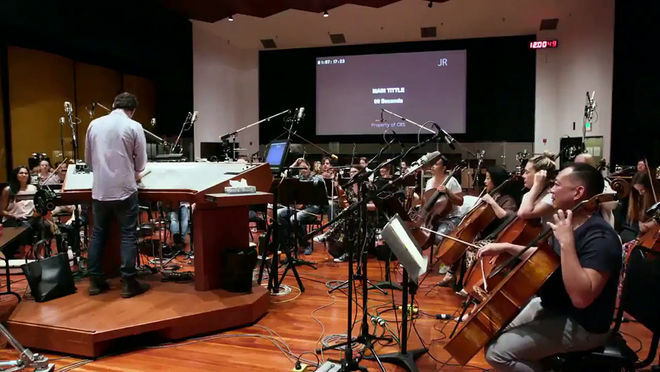 Fortunately for Prologue (and for many Star Trek fans), composer Jeff Russo had been hired by the production to give Discovery’s opening a more traditional, orchestral sound reminiscent of older Trek themes. 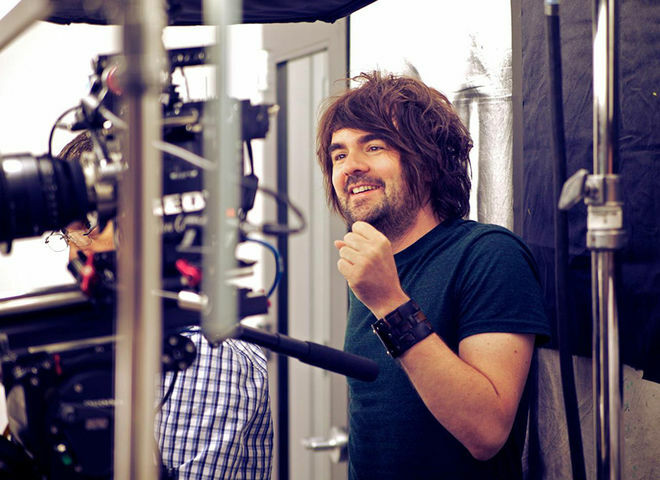 Russo also provided the team with a temp track early in the process which allowed them to time out the sequence so that specific credits would correspond to certain musical hits. 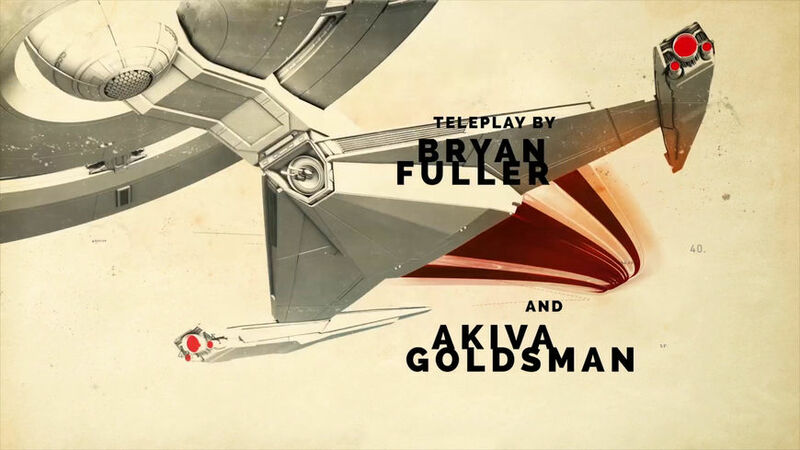 Star Trek: Discovery’s main titles are a modern television title sequence in every sense, more concerned with establishing the tone and themes through music and strong visuals than with effects-driven flybys or a high-minded mission statement. And yet despite the absence of those recognizable tropes, the essence of Star Trek is still communicated to the viewer. It will feel familiar for longtime fans and fresh and exciting for newcomers. 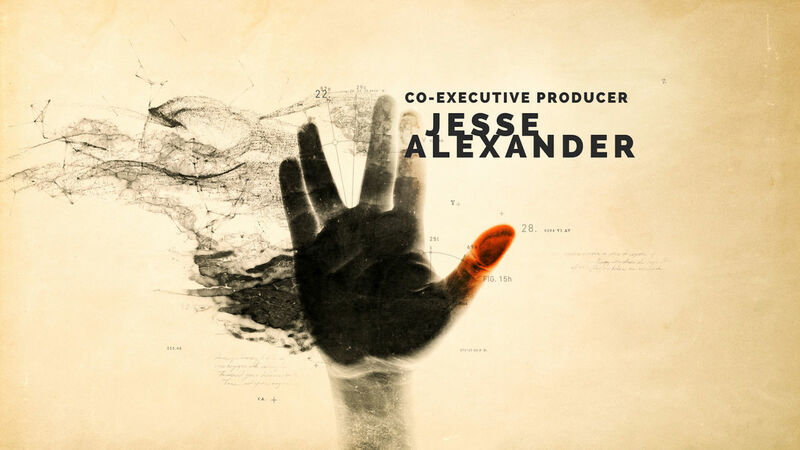 Discovery’s title sequence honours the rich history of the franchise – both literally and metaphorically – and sends the new TV series on a voyage distinctly its own.